It was the perfect plan: abandon pet rabbit Floppy in the woods and take a giant leap toward adulthood. Having a bunny that moonlights as a best friend is for babies, right? It's better to cut a pet loose, make new human friends, and not be so dependent on a floppy-eared fur ball bent on chewing electrical cords, right? If saying good-bye to Floppy is required to grow up, why does life without Floppy seem so wrong? 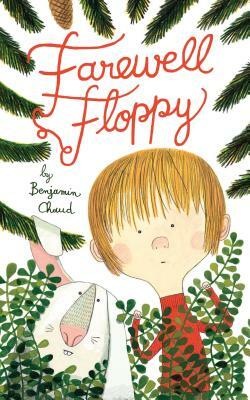 From Benjamin Chaud, the critically acclaimed author/illustrator of The Bear's Song and The Bear's Sea Escape, comes this unforgettable, thought-provoking picture book about the power of unlikely friendships. Benjamin Chaud is a well-known French author and illustrator of more than 60 books, including the New York Times Notable Book The Bear's Song. He is also the illustrator of I Didn't Do My Homework Because . . . and A Funny Thing Happened on the Way to School . . . He lives in the southeast of France.